ILIL is looking for a young (<36 years old) scientist for a 1 year post-doc fellowships (net salary approx 1620 euro/month). 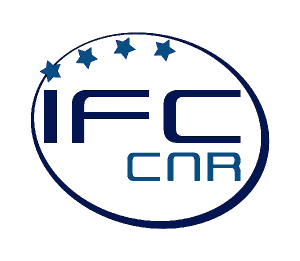 The project aims at the application of laser driven (all-optical) high-energy charged particles and secondary X/gamma radiation in medicine and non-destructive elemental analysis (for instance X-raytomography and Particle Induce X-ray Emission – PIXE). 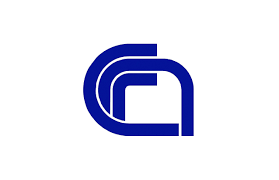 A PhD or 3 years post-graduate experience in Physics, Chemistry, Mathematics or Engineering is required, along with a good knowledge of spoken and written English.Instruction for application at http://bandi.urp.cnr.it/doc-assegni/documentazione/8603_DOC_IT.pdf, Codice Bando INO-008-2019-PI-Prot 0012566. 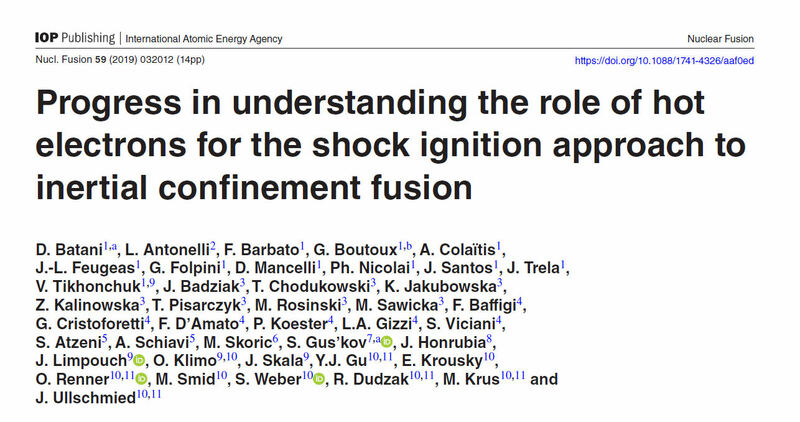 A new paper was recently published on Nuclear Fusion (D. Batani et al 2019 Nucl. Fusion 59 ,032012). The paper includes a review of the experimental results obtained in recent years at PALS, irradiating a thin multilayer target by 1w and 3w laser pulses at Shock Ignition intensities. Some numerical results obtained by hydrosimulations and Particle In Cell simulations are also included in the paper. 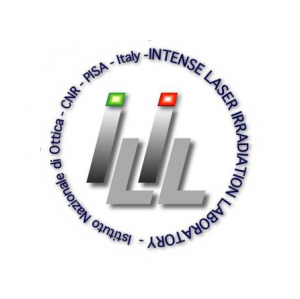 Laser Plasma Interaction results, in particular the characterization of parametric instabilities (SBS, SRS and TPD), were carried out by the ILIL group. Shock Ignition is a promising approach to reach ignition by means of intense laser pulses driving a strong shock on a pre-compressed fuel pellet. This scheme, proposed in 2007 by R.Betti (Rochester University, USA), has the advantage of strongly reducing the hydrodynamic instabilities. Moreover, a full-scale demonstration can be realized with present day technology and facilities (e.g. National Ignition Facility in Livermore, Laser MegaJoule in Bordeaux). In the framework of a recently approved collaborative European project, funded by EUROFUSION (European Consortium for the Development of Fusion Energy), we recently carried out several experimental campaigns at the Prague Asterix Laser System (Prague, Czech Republic) to investigate laser-plasma interaction in conditions relevant for Shock Ignition, i.e. laser intensities of 10^16 W/cm2 impinging on long (mm) and hot (several keV) plasmas . 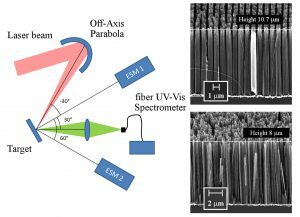 The paper “Measurements of parametric instabilities at laser intensities relevant to strong shock generation” analyses in detail the onset and the growth of parametric instabilities (Stimulated Raman Scattering, Stimulated Brillouin Scattering, Two Plasmon Decay) in such conditions . 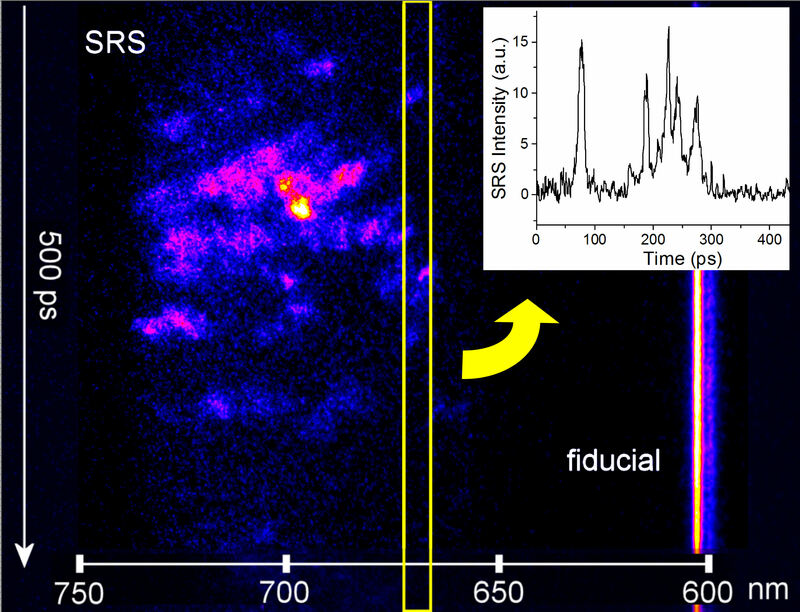 It has been recently published in Physics of Plasmas and promoted as an Editor’s Pick. 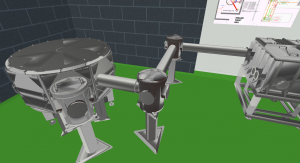 On going research activities include electron and proton acceleration, X and gamma-ray generation, as well as applications of the produced high energy radiation. 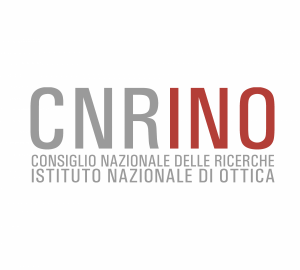 In this context, ILIL is looking for 2 young (< 36 years old) scientists for 2-year post-doc fellowships each (net salary approx 1600 euro/month), to be hired in the framework of the project ARCO-CNR “LASERPIXE”, recently funded by Regione Toscana (participating partners: National Institute of Optics – CNR, Institute of Clinical Physiology – CNR, INFN – Sezione di Firenze, VCS Parma). 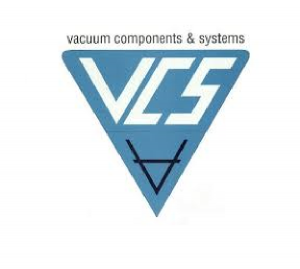 The activity will concern the application of laser driven (all-optical) high-energy charged particles and secondary X/gamma radiation in medicine and non-destructive elemental analysis (for instance X-ray tomography and Particle Induce X-ray Emission – PIXE). A PhD or 3 years post-graduate experience in Physics, Chemistry, Mathematics or Engineering is required, along with a good knowledge of spoken and written English. Laser-matter interaction with ultrashort-pulses at high intensity strongly depends upon energy absorption by the surface of the material. Energy is mostly converted in kinetic energy of electrons while much he avier ions remain still during the laser pulse. What happens when we use a NANO-SCALE COMB-LIKE SURFACE instead of a flat surface? What is the role of the comb wires? We know that in this ultra-intense, ultra-short pulse regime, electrons are ripped off from the surface and start oscillating abruptly. In general, however, experimental results on energy absorption are contradictory and strongly affected by experimental conditions. 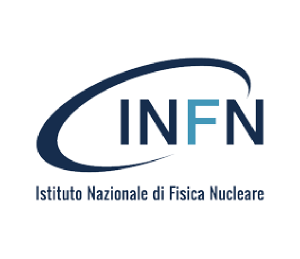 A recent study promoted by CNR in collaboration with TIFR (Mumbai), with the participation of INFN and INAF, sheds light on this complex process, comparing combs with different wire spacing. Experimental results show that if the extent of the oscillation is large compared to the wire spacing, electrons hit the wires frequently losing energy, and their motion becomes stochastic. In contrast, if the excursion of the oscillation is small compared to the wire spacing, the motion of electrons is coherent with the laser light and more electrons acquire more energy. 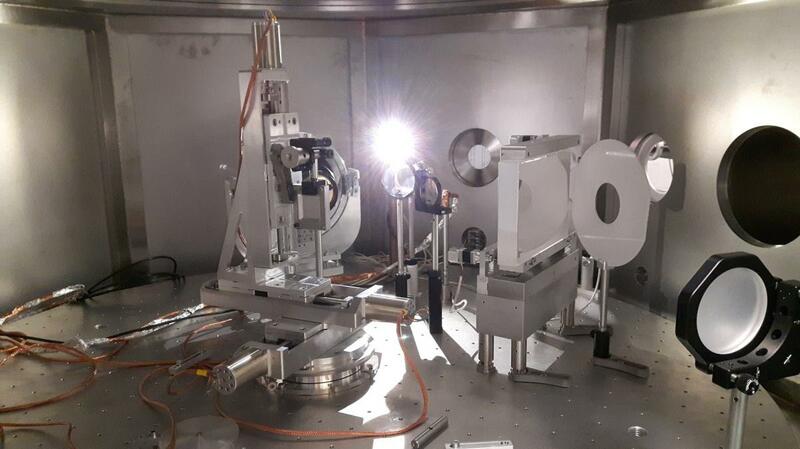 These experimental results, well described by the numerical model developed for this study, opens new possibilities for the control of laser absorption, with potential applications to light ion acceleration with lasers, where control of energy absorption plays a crucial role.